It’s hot! The kids are out of school. My house is a mess! What other excuses can I come up with for posting this a week after the month has already started? 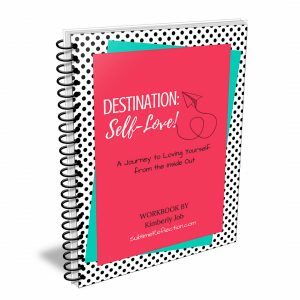 You may not be able to get any ideas for July, but maybe some of what I’m sharing will help you as you look forward to August. Before we get to July, I always end the month with a monthly review. It’s always pretty personal, so I’m not sharing my completed version, but here’s a blank one so you can see the questions I use. Reflecting is an important practice in my life and in my Bullet Journal. It’s fun to look back and see my personal growth and how my answers change each month. 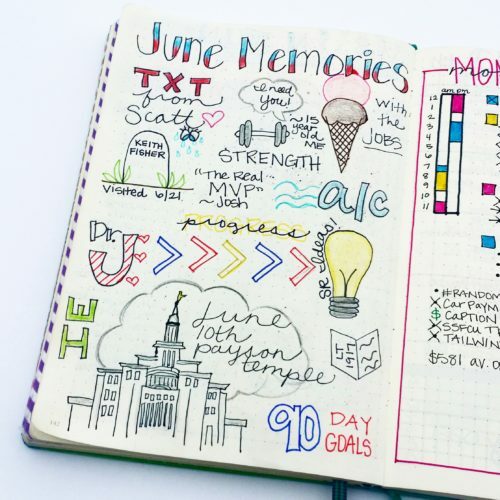 I tried a doodled monthly memories page in June. I remember trying this a few months ago, but left most of the page blank because I felt like I couldn’t doodle. I’m still not a pro, but I promise if you just start practicing you’ll be surprised. Literally, anyone can draw. [I have a post coming about that soon!] This page was a fun way for me to look back on the highlights of the month. I started my planning for July by creating a simple list of the pages I had in June, and started another list, on the other half of the page, for the ones I wanted to continue in July. 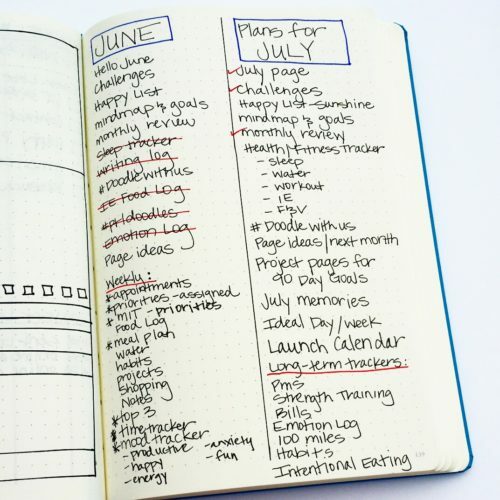 writing log – Good idea, but I didn’t fill in a single day. I thought it would encourage me to write more, but planning writing time on my time tracker was more helpful. 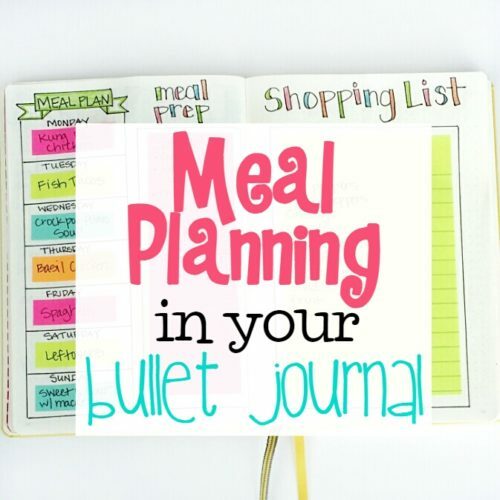 intentional eating food log – this was helpful, but took up a lot of space on my dailies. 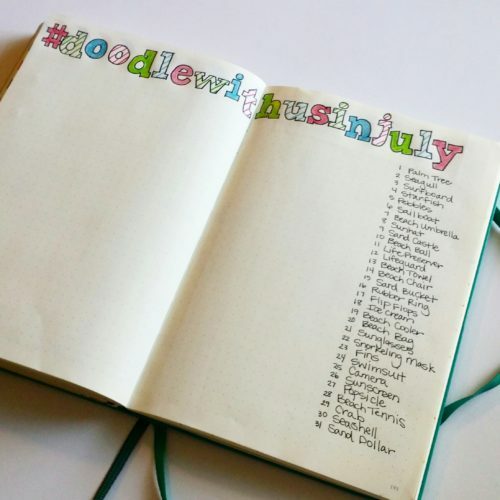 #ptldoodles – I started this, and really enjoyed it, but found that one doodle challenge is about all I can handle, so I stuck with the #doodlewithusinjune Challenge instead. 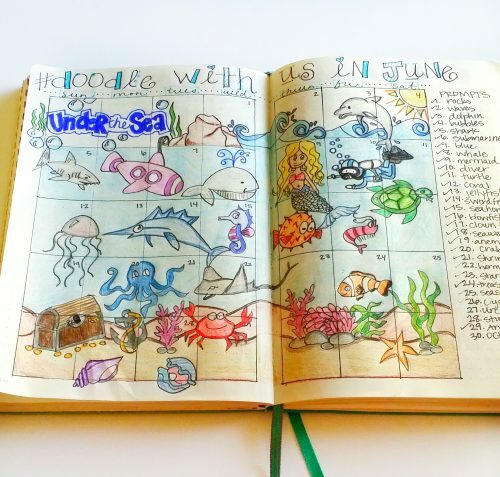 Here’s my finished #doodlewithusinjune spread! It got featured on Tombow’s Instagram account, so that was fun. This monthly doodle challenge is sponsored by @alexandra_plans and @christina77star! So be sure and check them out if you want to join in. 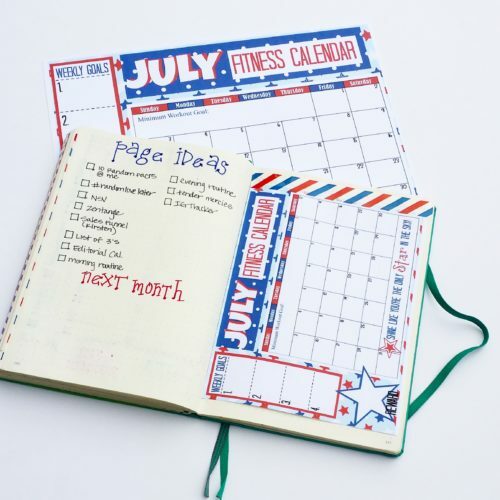 It’s not too late to join for July! Here’s my July setup. Don’t you just love a blank page? It feels magical somehow, with so much possibility ahead. 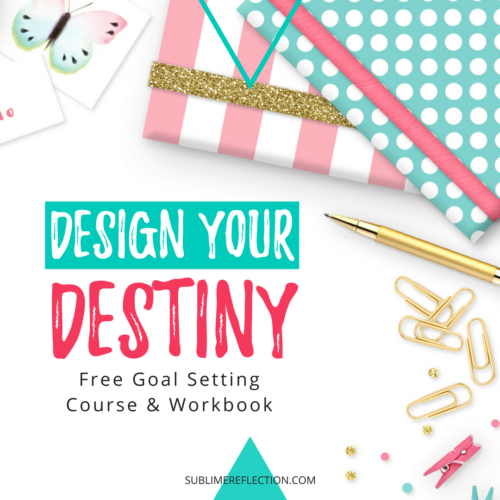 Last week I shared my 90 Day Goal Setting process and how I pick two large goals to focus on each quarter. 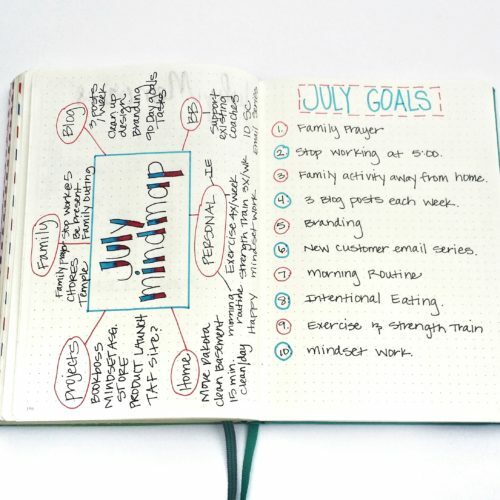 I also do a mindmap each month to set smaller task-oriented goals in each area of my life. I list the general categories I like to focus on, then brainstorm small goals I could accomplish under each one. Then, from those lists, I pick 10 items to accomplish (or focus on) that month. I always create a fitness calendar for my blog readers, and the last couple months I’ve been creating an A5 version to share with my bullet journal followers as well. I’m not sure yet how I feel about taping in calendars and things that are already created. I really love the handwritten look of the bullet journal, and I also don’t want my journal to get too bulky and break the spine. But for now, I’m trying it out. If you want a copy of the calendar, you can download one here. 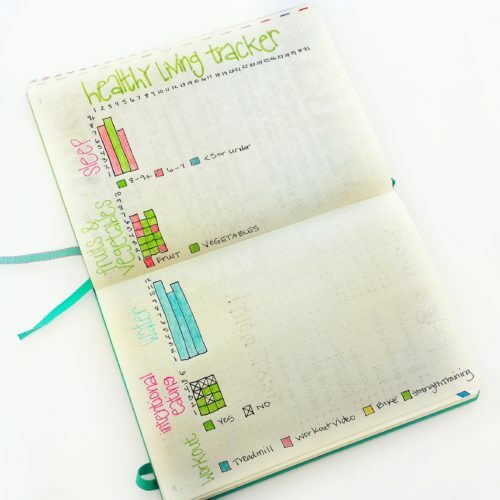 I’m trying a new healthy living tracker. 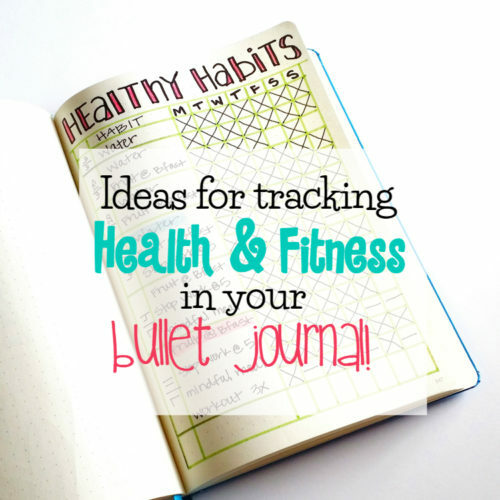 I’m tracking sleep, fruit & vegetable servings, water, intentional eating, and my workouts. I think I’m going to like having it all on one page, and I hope it helps me keep up with the tracker more. I’m planning on filling it out every evening when I sit down to plan for the next day. I got the inspiration for this idea from @bumblebeesandladybirds on Instagram. 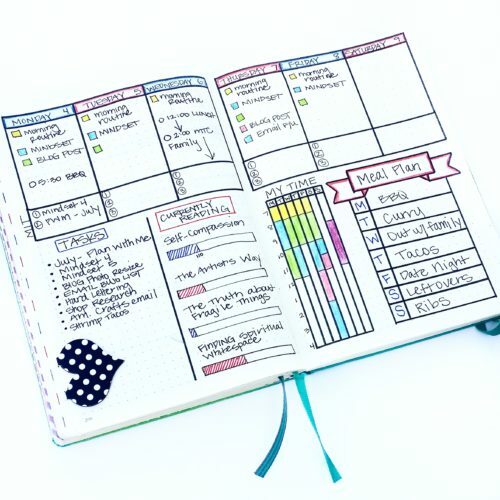 By the way, if you’re not following the Bullet Journaling community on Instagram, you’re missing out! So many great ideas and lots of inspiration. 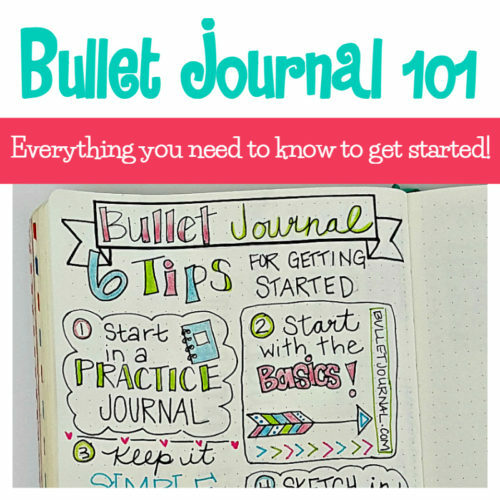 Make sure you’re following my Bullet Journal Instagram account too. I share a lot of pages over there that aren’t on my blog. I added a Happy List in June and loved it, so I’m doing one again this month. 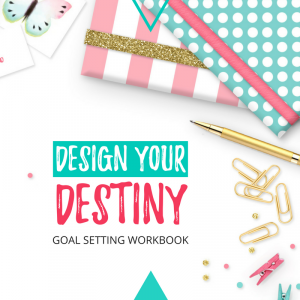 I got the inspiration for this cheery happy list from @heartistic.jess. She used it for a gratitude tracker. 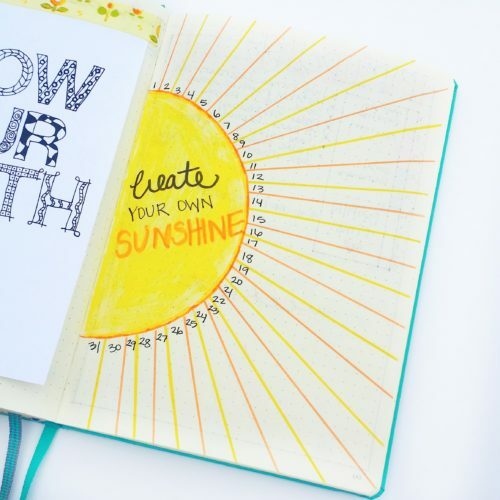 Either way, it’s sure to bring more sunshine into your life! I took a look at the past several weeklies and made a list of the things I liked the most and came up with this setup for the first week in July. There are already some things I’ve decided to change for next week, but a lot of people liked it on Instagram, so I’ll share it in case it gives you any ideas you’d like to try. Well, thanks for sticking with me! That’s it for July. I’d love to hear from you! 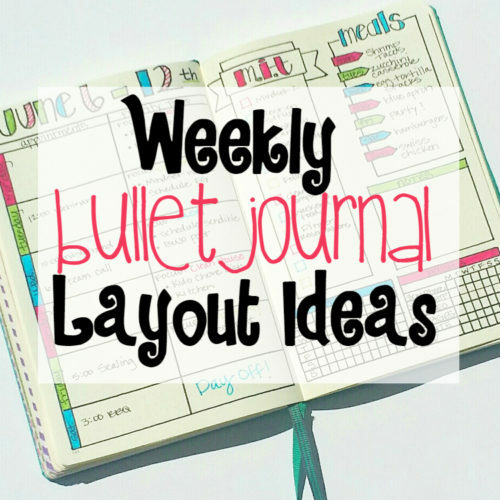 What new ideas did you add to your Bullet Journal this month? I always love new ideas, so share with me in the comments below! 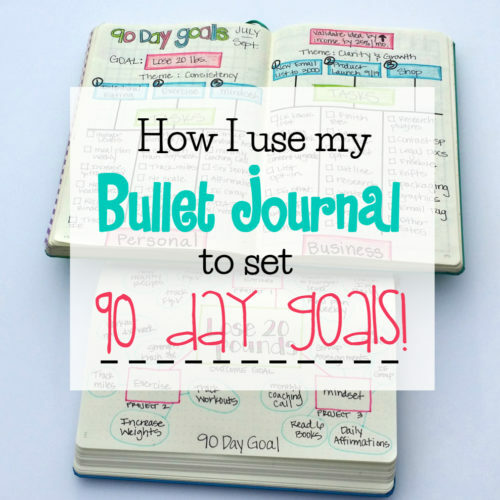 i absolutely love these bullet journals – i really want to try it out but i’m worried with my OCD and wanting things to be perfect I won’t use it, or will keep needing to re-do it. 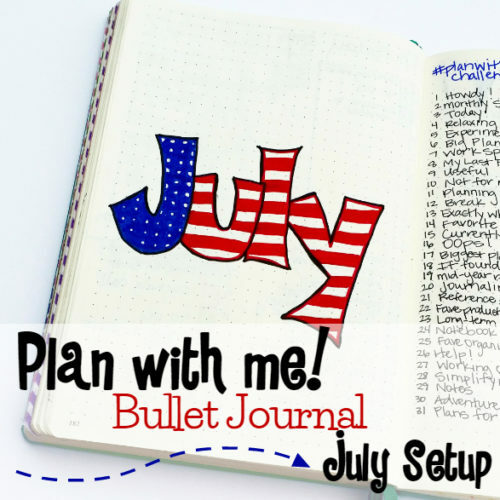 Wow, this is the first time I’m introduced to a bullet journal but I totally love the idea. I’m totally going to look into this more! I love the doodle pages. 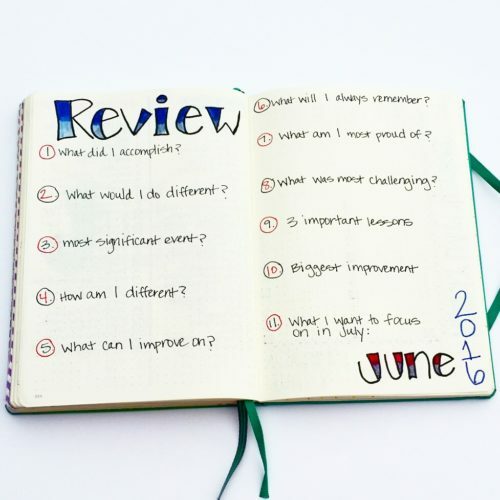 Just wondering, what journal are you using? That one looks about the size that i’m looking for!